Summer is coming to an end and it is time for back to school. Nothing says back to school like Five Star and Mead. Check out this HUGE backpack. It is the Five Star BIGMOUTH backpack. This backpack has room for all your school supplies and books. Dual zippers for easy open and close. Handle on the top to hang backpack in locker. Backpack overall dimensions: 13" x 18" x 8"
Now something to put in that backpack, this cool new Five Star Flex® Hybrid NoteBinder®. FlLASTS ALL YEAR. GUARANTEED! Acts like a notebook. Works like a binder. Patented TechLock® ring won't break or misalign. Rings open easily to add and remove paper and dividers, like a binder. Durable plastic covers fold over and to lie flat, like a notebook. Binder + Notebook + Filler paper all in one! I love that this binder is very durable. Kids are rough are school supplies and there are some cheaply made binders out there. You KNOW when you have purchased a Five Star Flex® Hybrid NoteBinder®, you have the VERY BEST product out there., Testimonials on the website speak very highly of this binder and it's durability. One thing I dislike is having to replace a binder 6 weeks into the school year. But, I know when my kids have a Five Star Flex® Hybrid NoteBinder®m they have the best! Five Star will be sending one lucky winner this backpack along with a Five Star Flex® Hybrid NoteBinder® and other Five Star back to school items. Enter the Rafflecopter below. 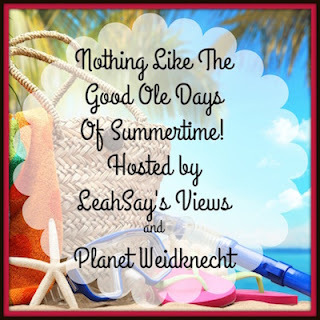 Many thanks to LeahSay's Views and Planet Weidknecht for hosting this giveaway hop. Make sure to visit the other sites listed below and enter the awesome giveaways. 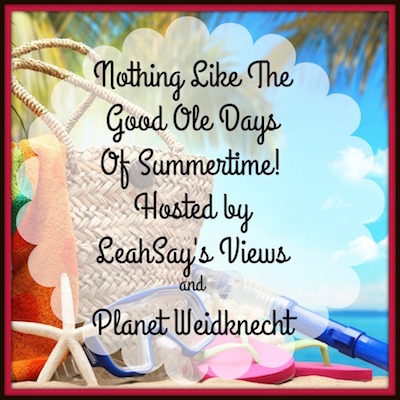 LeahSay's View, Planet Weidknecht, and the hop bloggers are not responsible for your prize or shipment of said prize. My son will need a backpack, a binder and College Ruled reinforced paper. 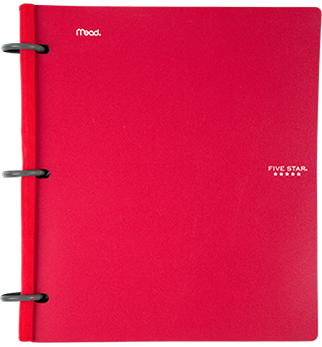 My grandson would need the Five Star® Plastic Binder in Red, the Hardbound Composition Book in Green Diamond, and the Five Star® Wirebound Wide Rule Notebook in Green. My sons will need a couple 2" ring sized Five Star® Plastic Binders, a 5 subject Five Star® Wirebound Wide Rule Notebook, and a Five Star® Composition Book. I love love love the 5 Star backpack with insulated storage and the Big Mouth Backpack! I'm a backpack nut. They will definitely need the Five Star Pop-Up Pencil Pouch, Wirebound College Rule Notebooks and the Five Star Plastic Binder. My child will need notebooks, binders, and folders. The advance notebooks, pencil pouch, and a composition book. My daughter will need Five Star Wirebound College Rule Notebooks, Five Star Paper Folders, and Five Star Style Weekly + Monthly Planner. My son is going to need reinforced paper, a pocket and prong plastic folder and a TruLock Binder. The three products my child will need for school are Five Star® Wirebound College Rule Notebook,Five Star® High Capacity Zipper Binder and the Five Star ® Xpanz® Pencil Pouch. I believe my neice will need the Five Star® Tech Carry-All + Expandale Storage, Advance Notebooks and the Five Star Big Mouth Backpack!! My Granddaughter will need the pink and black backpack, A Five Star Flex and a TruLock Binder. We will need a college notebook, composition book, and pencils. My daughter will need Five Star® Expandable Backpack, Five Star® Plastic Binder and the Five Star® Advance® 3 Subject Notebook when she goes back to school. My son needs a couple wire bound notebooks, their Big Mouth backpack and one of their 1" plastic binders. My son will need a Five Star Advance Notebook, a Five Star Stackable Locker Shelf, and a Five Star Style Weekly + Monthly Planner. While I do not have children, there are a few products that I really like. 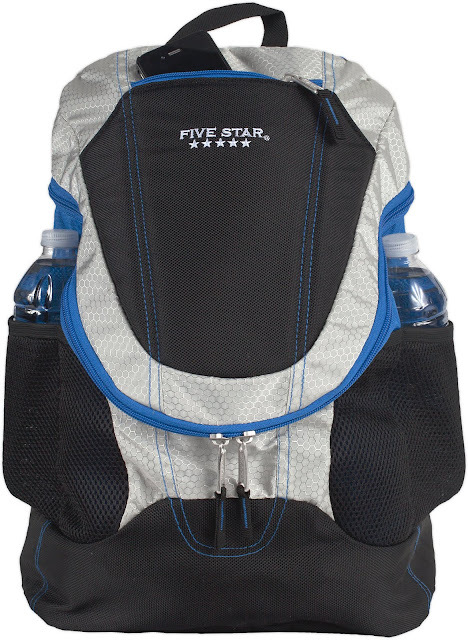 The Five Star® Ultimate Tech Backpack would be great for my laptop and carrying things that i need with me. Also, the Five Star® High Capacity Zipper Binder and Five Star® Stand ‘N Store. 1) Advance Monthly Planner 2) Five Star Rigid Binder 3) Five Star Wirebound College Rule Notebooks will all be needed for school. My kids are grown now. But, they still need a backpack/travel bag, college ruled paper and gel pens. My grandkids need 3 composition books, notebooks, and binders. My daughter needs the zipper binder, a backpack and composition notebooks. They will need a binder, notebooks and paper. My son will need composition books, the pocket and prong plastic folders, and the binders. We will definitely need composition books, notebook paper and a backpack. Those items are always a given. Thank you. A pocket folder, College ruled filler paper, and Graph Filler Paper. I love those soft binders that come with graph paper, and folders. And that backpack is sweet! My kids could use the Five Star® Expandable Backpack, Five Star® 5-Pocket Expanding File, & Five Star® High Capacity Zipper Binder. Awesome products from this company! They need the Five Star Wirebound Wide Rule Notebooks, the Reinforced Paper and the Five Star Xpanz Pencil Pouch. School supplies needed: The Five Star® Customizable Plastic Binder (pink), Five Star ® Xpanz® Pencil Pouch (pink) & a Five Star® Backpack (pink). My kids would need a notebook, backpack and folders from Five Star for school. For my grandson he will need the Xpanz Pencil Pouch, Book Sleeve and Tabbed 2 Pocket Dividers. My Grandson needs a Backpack, and my Granddaughter could use a Locker Organizer and a Five Star Advance 15-Pocket Folder. They will need a Five Star® Big Mouth Backpack, a Five Star® Style Pencil Pouch, and a Five Star® 1.5" Zipper Binder! I'm going back to school and could use the Tech Carry-All + Expandale Storage, Tri-Fold Tablet Case with Stand and some Advance® Notebooks. They'll need backpacks, notebooks/folders and Wirebound College Rule Notebooks. My daughter could use the Ultimate Tech Backpack, locker top shelf extender, and zipper binder with multi access file. My child will need a composition book, notebook paper and a backpack! She really needs the reinforced paper. I can't EVEN express how much she needs the locker shelves. To be really honest, she really needs the Five Star® 7-Pocket Expanding File. Thanks for holding the giveaway. They will need a pencil pouch, planner, & folders. My granddaughter would like a back, zipper binder and locker organizer. both my kids need new backpacks, folders and organizers would be nice too! my kids will need a backpack, folder to hold their work, and notebooks. Every year the kids need a backpack, binders, folders and paper. My kids need the Five Star High Capacity Zipper Binder, Advance Monthly Planner, and 8 pocket expanding file. My kids are grown, but my nieces/nephews would need notebooks, locker organization and backpacks! I also love their new tech organization products! 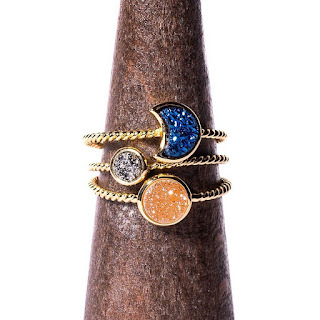 FiveStar always has such nice products! My daughter starts preschool in September, so I need to get her a backpack. My children need notebooks and composition books, three ring binders, and backpacks. My son will definitely need the ultimate tech backpack,the advance monthly planner and a whole bunch of the composition notebooks! Binders, folders and paper in addition to a new backpack to carry all of it in. Composition books! A planner folders paper and a backpack to put it all in! My daughter has already started asking about something to organize her locker so the Hanging Locker Shelf would be great for her. The Reinforced Filler Paper and the Zipper Binder with Tech Pocket would be great for her as well. My son will need notebooks, folders, and binders. The kids will need folders, a backpack and a student planner. They will need the Five Star Stackable Locker Shelf, Five Star 2" Zipper Binder + Tech Pocket, and Five Star Wirebound Wide Rule Notebooks. My daughter, a senior, could use a Five Star Expandable Backpack, an Advance Monthly Planner and an Advance Notebook (she LOVES Five Star Notebooks). We need it all. Backpacks, lunchboxes and binders are three items they offer. I love the Five Star® Advance® Notebooks. I work at a university and they hold up well as notebooks for college students. We pretty much need everything. My daughter changes to a school with 6 teachers this year and each has their own list. She definitely needs a backpack lile the Five Star® Expandable Backpack. In addition, she needs the pencil pouch of some sort and she really likes the Five Star® Multi-Pocket pouch. We also need the Five Star® Tabbed Dividers 5-Pack. My daughter will be a Freshman this year, so a couple of the sewn zipper binders, locker storage pockets and mirror, and the advance 15 pocket folder are all things she can use. My kids will both need a back pack, a notebook, and a pencil case. They can reuse many things from last year. My kids need college rule loose-leaf paper, zippered binders, and pocket folders. My child will need the backpack, the tablet stand/notebook case, and the stackable locker shelf. They have so many great products. My son will need a binder, folders and a spiral notebook. Thanks for the chance to win. My son will definitely need a Five Star Flex Hybrid NoteBinder, a Advance Monthly Planner, and a Five Star Pop-Up Pencil Pouch! I'm sure these things will get him off to a great start! My daughter will need a lot of things for her Senior Year, especially the Five Star® Advance® Notebooks, Five Star® Plastic Binder and Five Star® Divider Noteprotector® 5 Pack. My Grands need notebooks, pencils & folders. I've got a freshman in high school and a freshman in college. I know both boys would need an Advance Monthly planner, for all their assignments. To keep their pencils and pens organize I think they would like the Five Star pop up pencil pouch, it's got rings to hold it in a binder. Finally, I think the Flex Hybrid note binder would be great for each of them. They may need one for each subject. Thanks for the chance. My grandson will need a backpack, reinforced notebook paper and a flexible binder. My kids will need notebooks, folders, and binders. My daughter will need a backpack, several notebooks and a planner. My daughter needs Five Star® High Capacity Zipper Binder , Five Star® Advance® Notebooks, and Five Star® Ultimate Tech Backpack. Three products needed for back to school are Five Star® Reinforced Paper, a Five Star® Expandable Backpack, and the Five Star® Stackable Locker Shelf.